Yes, Flying Fish is growing fast “but not that fast”, says Joe ”we need to catch up and make sure our local market is served first, though we now distribute in California and Florida”. 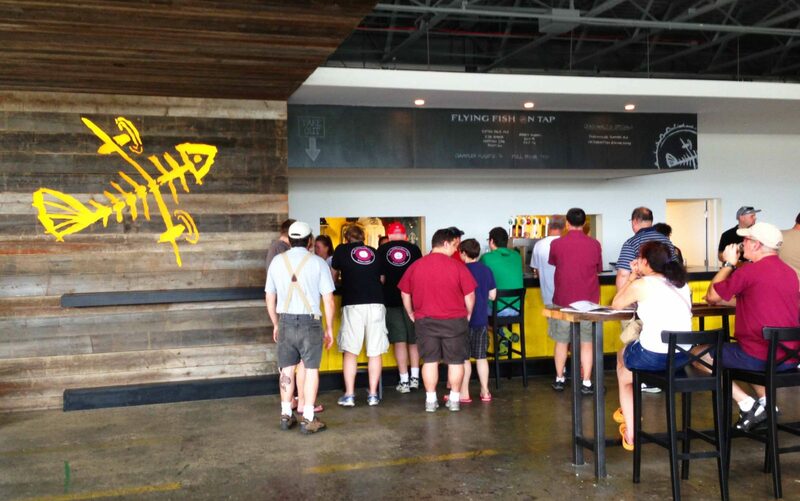 Flying Fish started in 1995 as a “virtual brewery” with people helping shape the brand and ordering Flying FIsh gear before there was a beer on the market. While their HopFish and some of the greatly appreciated “Exit Series” beers like the “Exit 16 Wild Rice Double IPA” are a bit edgy, FFish likes to rely on it’s beer’s balance – not try to blow you away with high gravity bombs. Joe told me that the brewery isn’t exactly sure why they’ve seen a 30% growth this year – as they haven’t introduced any new beers to the market – but there’s been a lot going on. With their now famous “F U Sandy” saison (supporting victims of hurricane Sandy), the growing popularity of the “Exit” series, the new “green” brewery, new labels and packaging and now the opening of the tap room – the Fish are indeed flying. I enjoyed a couple of drafts at the tap room with a friend, resisting the “flight” and instead focusing my beer intake on the nicely balanced “RedFish” and of course the Exit 16. It has been a favorite of mine, and I was pleased to be able to feature that beer at a beer dinner I hosted this spring at the Union League in Philadelphia. The chef there created a special “wild rice risotto pudding” with a “jalapeno pepper chocolate crust” to pair with Exit 16 for desert. It was a blast. 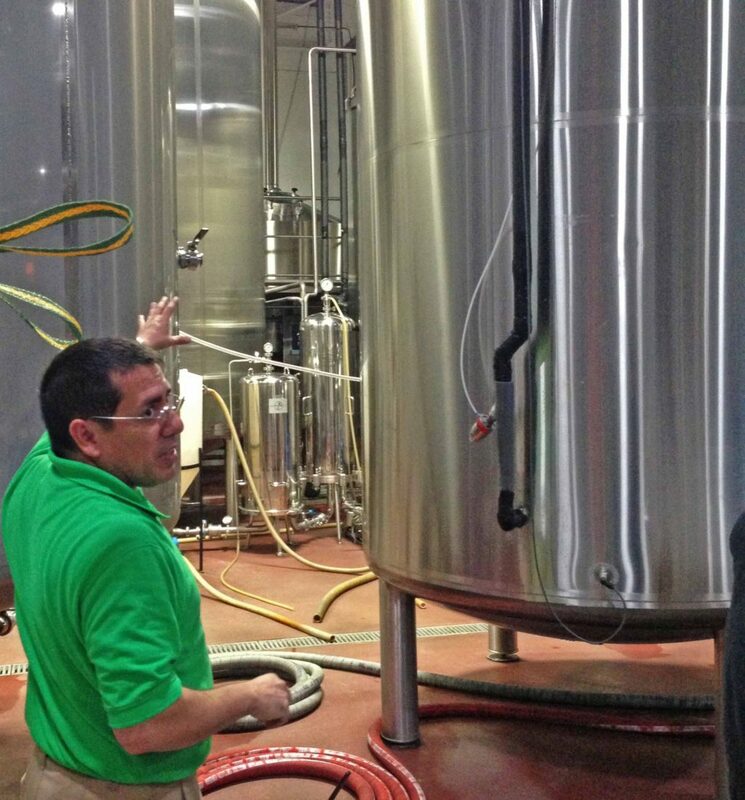 And look for some inventive beer and food combinations at local bistro’s and restaurants as Joe T is trained in the food and beverage business and can’t wait to get his message and his beer out there – luckily for all beer appreciators in the Delaware Valley. Head to the tap house and enjoy NJ’s oldest craft brewery – hook a few fish but don’t forget your exit!